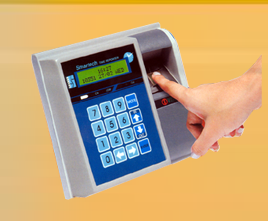 • Besides English, it can display messages in other languages like Hindi, Marathi, Gujarati, Gurumukhi, Tamil & Telugu. • Characters can be made bold. • 5000 characters memory capacity. • Split Screen: One part (Left/Top) can display steady information and the other part (Right/Bottom) can display moving messages. • Auto Effect: Same message is displayed in 40 different effects automatically. • Scheduling: Festival greetings can be scheduled for display on the set days. • Messages stored in memory are retained for more than 30 days in absence of power. • Black powder coated Aluminum Cabinet. 7.7" X 24.6" X 3.5"
7.7" X 35.8" X 3.5"
7.7" X 47.0" X 3.5"
7.7" X 58.2" X 3.5"
7.7" X 69.4" X 3.5"
7.7" X 34.3" X 3.5"
7.7" X 50.3" X 3.5"
7.7" X 66.3" X 3.5"
7.7" X 82.3" X 3.5"
7.7" X 98.3" X 3.5"
11.0" X 57.6" X 3.5"
11.0" X 76.8" X 3.5"
11.0" X 96.0" X 3.5"
11.0" X 115.2" X 3.5"
12.5" X 67.2" X 3.5"
12.5" X 89.6" X 3.5"
12.5" X 112.0" X 3.5"
12.5" X 134.4" X 3.5"
19.5" X 110.4" X 3.5"
19.5" X 147.2" X 3.5"
19.5" X 184.0" X 3.5"
19.5" X 220.8" X 3.5"
23.5" X 134.4" X 3.5"
23.5" X 179.2" X 3.5"
23.5" X 224.0" X 3.5"
23.5" X 268.8" X 3.5"